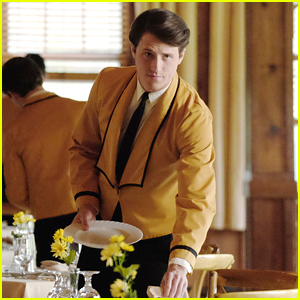 Shane Harper Photos, News, and Videos | Just Jared Jr. There was another Good Luck Charlie reunion and we are living for it! 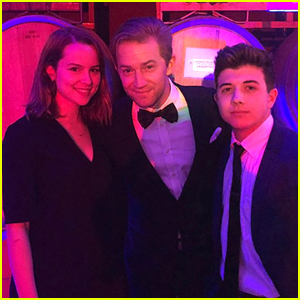 Bridgit Mendler, Bradley Steven Perry, Jason Dolley and Shane Harper all attended Lea Boscarino‘s weekend wedding and shared a few reunion pics on social media for their fans. 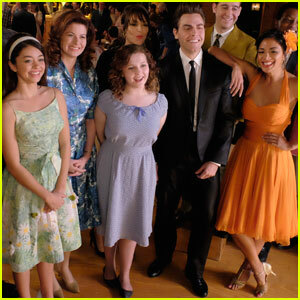 If you don’t know, Lea is the older sister of Samantha Boscarino, who starred on GLC as Skyler, PJ’s girlfriend. She’s also Bridgit‘s real life BFF. Just a few weeks earlier, Jason ran into Bridgit while out on a hike. Check out all the pics from their reunion at the wedding below! They’re different shades of blue, Shane. Get over it. Shane Harper is looking exceptionally handsome at the premiere of his new film God’s Not Dead: A Light in Darkness on Tuesday (March 20) in Los Angeles. The 25-year-old actor and singer reprises his role of Josh Wheaton in the sequel to the 2014 film God’s Not Dead. In God’s Not Dead: A Light in Darkness, Pastor Dave (David A.R. White) responds to the unimaginable tragedy of having his church, located on the grounds of the local university, burned down. 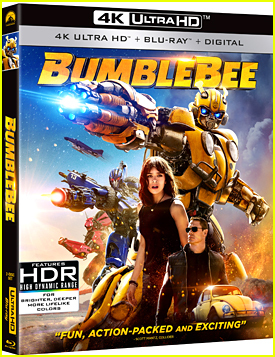 Watch the trailer below and see it in theaters next Friday (March 30). Shane is also getting ready to release some new music! “Stepping outside the box a bit on these next few songs. Excited for you to hear them. Almost ready,” he teased on Twitter. Hannah Zeile glitters in a gorgeous Escada gown for the 2018 Movieguide Awards on Friday (February 2) in Universal City, Calif. The 20-year-old This Is Us actress was joined by on-screen brother Niles Fitch, as well as Shane Harper at the event. Speaking with US Weekly recently, Hannah opened up about what struggles teenage Kate will go through in the upcoming episodes. 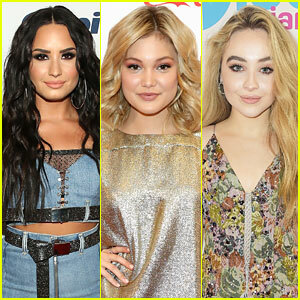 We’ve found your perfect holiday soundtrack, featuring stars like Demi Lovato, Olivia Holt, and Sabrina Carpenter. Walt Disney Records dropped the playlist on Spotify to help fans celebrate the season. Now you can jam out to Demi‘s “Let It Go,” Olivia‘s “Christmas (Baby Please Come Home),” and Sabrina‘s “Have Yourself a Merry Little Christmas” all in one place. It also includes songs by Sofia Carson, Ross Lynch, R5, Laura Marano, Bridgit Mendler, Shane Harper, Forever in Your Mind, and more. There are also tracks from your favorite Disney characters, movies, TV shows, and The Muppets. Shane Harper is prepared for all the nay-sayers who are coming after the Dirty Dancing remake — in fact, most of the cast is. The actor, who plays Robbie in the TV special tonight, opened up about taking on a remake of a classic movie like this. “Oh yeah, we’re terrified. Everyone understands that the comparisons are going to come. Our version of it is a musical. It’s a reimagined universe that this Dirty Dancing story is happening in,” he shared. But, he still knows that everyone watching will actually enjoy it. He’s a really, insanely good dancer. No lies.